Diopsidae are a family of flies which are commonly called stalk eyed flies because their eyes protrude from their head on massive stalks. 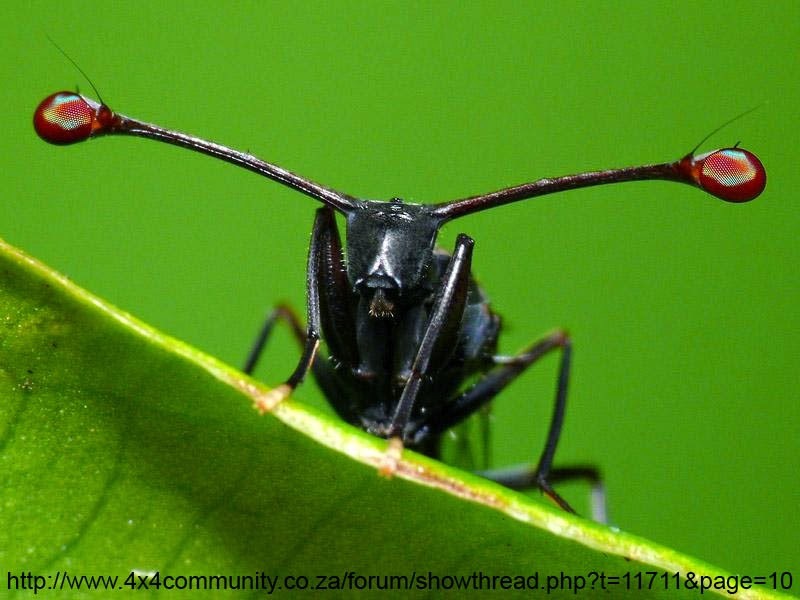 These stalks are so prominent that their antennae are attached to to the stalk rather than the center of the head. In stalk eyed flies these eye stalks are used by males to beat off competitors in brutal eye stalk battles. 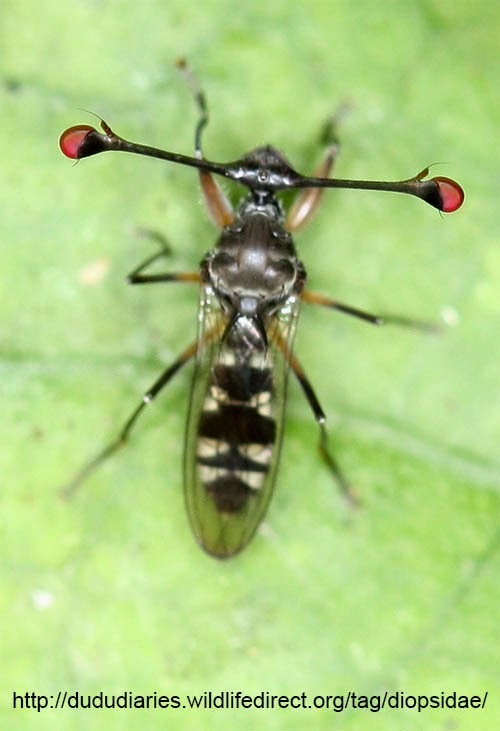 Some stalk eyed flies can even inflate these stalks to scare off competitors.